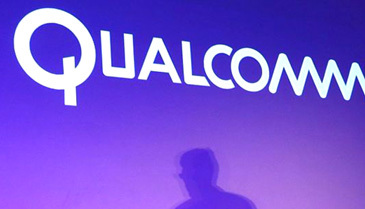 Qualcomm, the U.S.-based giant chipmaker, faced a record 1.03 trillion won ($853 million) in fine for abusing its monopolistic power to sign unfair licensing contracts with smartphone makers in South Korea. The Fair Trade Commission (FTC) imposed the fine, the biggest ever levied by Korea's antitrust watchdog, on Dec. 28, 2016, saying that Qualcomm forced domestic smartphone makers, including Samsung Electronics and LG Electronics, to sign a contract unilaterally advantageous to the U.S. chipmaker by using its superior patent rights and market share. The fine is the biggest ever imposed by the FTC, which can impose penalties of up to 3 percent of a company's sales according to the seriousness of the case. Since November 2009 when Qualcomm started to breach the rule, the company's sales related to domestic companies have reached 38 trillion won. The FTC imposed a 2.7 percent fine on the amount, a FTC spokesman said. Under the FTC rule, Qualcomm has to pay the fine within 60 days of the watchdog's issuance of a written order.